Amanda is a lecturer in the School of Nursing and Midwifery. In addition to teaching responsibilities, Amanda is the second year coordinator and also enjoys her role as an academic mentor. Amanda is completing her PhD exploring the the 'experiences of families living with depression - a study in narrative'. Amanda is also a Registered Teacher and has a strong interest in education and teaching and learning. Education - teaching & learning. Graduate Certificate in Forensic Behavioural Science, Swinburne University of Technology, 2016. Cert IV in Training and Assessment, TAFE NSW, 2013. 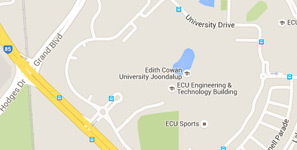 Graduate Diploma of Education (Primary), Edith Cowan University, 2007. Bachelor of Nursing, Edith Cowan University, 2003. A cohort study to inform the development of a strategic intervention to develop EI, student well-being and retention across an undergraduate nursing and nursing/midwifery university program in WA., Edith Cowan University, School of Nursing and Midwifery Strategic Initiative Fund, 2017 - 2018, $10,000. Whitehead, L., Jacob, E., Barnard, M., Abu-Qamar, M., Cole-Heath, A., (2018), The role of the family in supporting the self-management of chronic conditions: A qualitative systematic review. Journal of Clinical Nursing, 27(1-2), 22-30, West Sussex, United Kingdom, Wiley-Blackwell Publishing, DOI: 10.1111/jocn.13775.